Bryan Cave saw both revenue and profit per equity partner (PEP) dip in its last full financial year before its merger with Berwin Leighton Paisner (BLP), a deal the US firm is expecting to turn its financial performance around. The St Louis-based firm firm saw gross revenue dip 2.5% to $592.6m in 2017 as PEP fell nearly 7% to $804,000. Revenue per lawyer remained flat at $700,000. 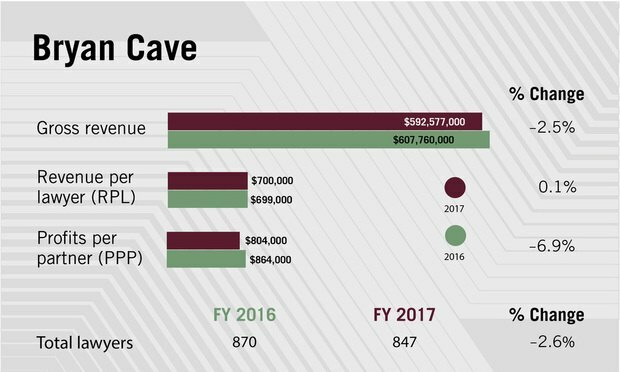 Bryan Cave’s top-line figure has now fallen four straight years by a total of 7.8% since it topped out at $643m in 2013. A firm spokeswoman issued a brief statement noting that Bryan Cave is “very pleased” with the “extremely strong” financials. A decrease in mortgage litigation work and slightly shrinking headcount (down 2.6% to 847 lawyers) partly accounted for the gross revenue dip, the statement said. “We expect the pending combination with BLP to grow revenues and boost profitability as a direct result of our improved ability to provide our clients with broader and deeper legal services,” said Bryan Cave in its statement. This year will be the last set of financial figures reported by Bryan Cave before it becomes Bryan Cave Leighton Paisner (BCLP). That merger is expected to create a combined firm of some 1,600 lawyers with more than $900m in gross revenue. A firm with $900m in gross revenue last year would have ranked 37th in the most recent Am Law 100 list and 44th in the Global 100 rankings, directly between McDermott Will & Emery and Milbank Tweed Hadley & McCloy in both tables. For its part, BLP saw revenue rise 7% to £272m (roughly $376m at current exchange rates) during 2016-17, its last full financial year, as PEP fell nearly 8% to £630,000 ($871.000). 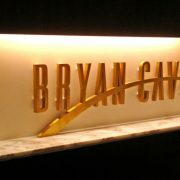 Bryan Cave last year trimmed its non-equity partner ranks by 6.2% down to 166. The firm’s equity partner ranks grew by 2.5% to 204, up from 199 the year before, helping to explain some of the PEP decrease. BLP’s partners will be interested in that figure, as the combination they are entering into is one of the few fully financially integrated transatlantic law firm mergers. In an earlier interview, Bryan Cave chair Therese Pritchard said the single-profit pool structure made it easier to reward partners for working together across geographies than a Swiss verein construction. 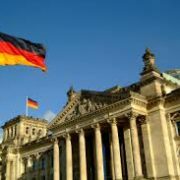 Mills & Reeve signs alliances with German and Dutch firms amid Brexit uncertainties. Firm enters into formal agreements with German firm Graf von Westphalen and Dutch firm Van Benthem & Keule. UK top 50 firm Mills & Reeve has signed formal alliances with German firm Graf von Westphalen and Dutch firm Van Benthem & Keulen. Mills & Reeve has worked with the two firms for about 10 years but has now formalised the relationships, which already involve joint legal training programmes and regular secondee exchanges. 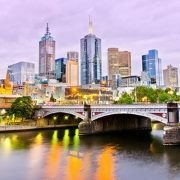 King & Wood Mallesons has hired former SJ Berwin Frankfurt head of corporate Michael Roos to join its German M&A practice. 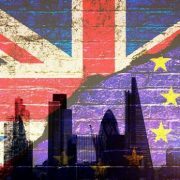 The value of UK M&A deals dropped by 45 per cent in the first nine months of 2016, new research has found. Despite the decline, Freshfields Bruckhaus Deringer, Herbert Smith Freehills and Davis Polk & Wardwell came out on top in terms of deals done. According to data from Thomson Reuters, the combined value of UK M&A deals between the start of 2016 and now stood at $195.5bn. This compares to $354.1bn at the same point last year. The drop in value is in spite of ARM Holdings’ takeover by Softbank for £24bn earlier this year, which gifted roles to Freshfields, Slaughter and May, Davis Polk and Morrison & Foerster. While Freshfields continues to rule the roost in terms of UK M&A (it has worked on 56 transactions worth $77.2bn so far this year) it still lags behind Clifford Chance in the worldwide rankings. Clifford Chance came in eleventh place globally, having acted on 177 deals worth $164.2bn this year, compared to Freshfields’ 142 transactions valued at $163.7bn. Clifford Chance’s success in the global rankings can be in part attributed to its work in the European market, trailing just Cravath Swaine & Moore in terms of deals on the Continent. Recent top roles including working on ChemChina’s $43bn of Syngenta and Bayer’s $62bn bid for Monsanto. While the value of UK M&A deals has dropped by 45 per cent this year, the value of European M&A deals has fallen by 25 per cent from $919bn to $734bn. The US market has also decline, down 39 per cent on this time last year. Globally deal value has fallen nearly 50 per cent compared to last year, despite the same number of deals being announced at around 30,000 in total. Wachtell Lipton Rosen & Katz takes the crown at the top of the global M&A rankings so far this year, overtaking Sullivan & Cromwell. US corporate heavyweight Wachtell advised on 72 deals including Monsanto and Bayer, as well as Johnson Controls’ merger with Tyco. Wachtell’s transactions amounted to a deal value of $336.6bn ahead of Sullivan’s total of $335.7bn. White & Case and Davis Polk remain in the top five, although Simpson Thacher & Bartlett has dropped slightly making way for Skadden Arps Slate Meagher & Flom. White & Case has advised on a large number of deals – a total of 204 – while Sullivan & Cromwell still leads the tables in terms of transaction value after acting on just 92 transactions since the start of this year at a value of $335.7bn. 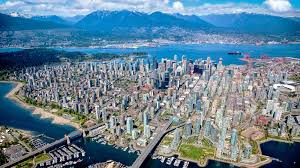 Norton Rose Fulbright has acquired Canadian firm Bull Housser, adding 54 partners and a base in Vancouver to its global network. 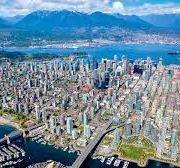 Bull Housser lawyers will be brought under the Norton Rose Fulbright name, with Bull Housser managing partner Janet Grove remaining managing partner of the Vancouver office. She will report to Norton Rose Fulbright Canadian managing partner Charles Hurdon, based in Ottawa. The move follows Norton Rose Fulbright’s launch in Northern California in June, after it hired seven lawyers from Sidley Austin’s San Francisco office. The team moved over as part of a group hire across the US, which saw Norton Rose Fulbright poach Sidley’s entire public finance team. Norton Rose Fulbright chief executive Peter Martyr said the Bull Housser combination “reinforces our growing Pacific Rim practice”. Bull Housser specialises in projects and transactions work in the region. Bull Housser is comprised of 54 partners, 32 associates and four counsel. It joins a firm that saw global revenue rise 3.4 per cent to £1.16bn for the 2015/16 financial year in its third financial year since the merger of legacy firms Norton Rose and Fulbright & Jaworski. 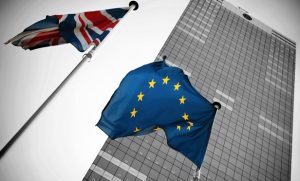 Merger talks between U.S. firm Hunton & Williams and U.K. firm Addleshaw Goddard have stalled following the U.K.’s June vote to leave the European Union. 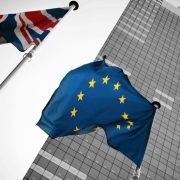 Partners at the firms have said that the discussions, which were first reported in May of this year but are understood to have begun at the end of 2015, have slowed down in the wake of the EU referendum in order to assess the impact of Brexit on the U.K.
“The U.S. deal is still ongoing but it has slowed because the dust hasn’t settled on Brexit yet,” an Addleshaw partner said. The forthcoming U.S. presidential election is also understood to have played a part in the delay. Nothing has yet been formally put to the partnership at Addleshaw but prior to the Brexit vote, talks between the two firms had progressed to a stage where there was a “sufficient degree of conformity that everyone was comfortable with the basics and the feel culturally,” according to one Addleshaw partner. A deal between the two would create a firm with combined revenue of around £554 million ($733.14 million) and more than 1,300 lawyers. Hunton & Williams has 14 offices across the U.S., alongside small international outposts in Brussels, Beijing, Tokyo, London and Bangkok, while Addleshaw has three U.K. offices and international offices in Dubai, Hong Kong, Oman, Qatar and Singapore. A merger would increase both firms’ coverage with relatively little overlap, as the only duplicate office is in London, where Hunton & Williams has a seven-partner base. Addleshaw posted revenue of £201.8 million ($267.05 million) for the 2015-16 financial year, up from £192.4 million ($254.61 million) the previous year, while profit per equity partner (PEP) soared by 39 percent to £682,000 ($902,531.52), from £491,000 ($649,769.76). The firm’s results were boosted by fees paid for mandates from previous years, partly connected to the long-running Berezovsky litigation. In contrast, Hunton & Williams’ turnover dropped 7 percent to $528 million in 2015, making it the 62nd largest firm by revenue in the U.S. Its PEP stood at $950,000, down 5 percent. In the past 12 months, Addleshaw has also held merger talks with Scottish firm Maclay Murray & Spens, but they were called off earlier this year after the two sides failed to come to an agreement. Addleshaw declined to comment and Hunton & Williams did not respond to requests for comment. Kennedys is merging with marine boutique Waltons & Morse to boost its City presence. 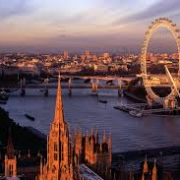 The tie-up will increase Kennedys’ London headcount by 28 lawyers including five partners, and follows a number of mergers made by the firm to expand internationally, particularly in Latin America. Kennedys’ turnover will also grow to an estimated £150m after the combination. The firm reported an uplift in revenue of 7 per cent to £139m for the 2015/16 financial year. All of Waltons & Morse’s lawyers will sit in Kennedys’ new international marine team, headed up by the boutique’s managing partner Chris Dunn. The new additions will expand Kennedys offering in the marine and shipping sector, with lawyers advising on insurance, and casualty and liability issues, as well as political risk. 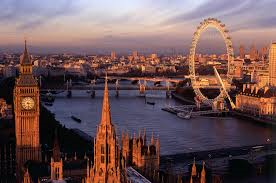 The merger will go live in November and all staff from Waltons & Morse will move over to Kennedys’ London office by the end of the year. Kennedys has been pushing for significant expansion across Latin America and Europe this year, with the firm opening four new offices in recent months. It launched new offices in Brazil and Peru as well as Chile and Columbia, while also merging with its Danish associated firm Erritzøe and signing up firms in Norway and Sweden as new associates. 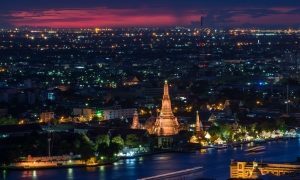 Tokyo-based law firm Mori Hamada & Matsumoto has agreed to acquire a leading practice in Thailand, aiming to assist Japanese businesses as they expand their presence there and in the region. Mori Hamada & Matsumoto (Thailand) will purchase Chandler & Thong-ek for an undisclosed sum. Chandler, which is headquartered in Bangkok and employs nearly 50 attorneys, will incorporate “MHM” into its name as early as January. This will mark the first time that a Japanese legal group acquires a foreign firm of this scale. The Thai firm will serve as the nerve center for MHM’s Asian operations, which will span 60 lawyers. Functions will include providing legal support for the flurry of acquisitions in the region. Major Japanese law firms have branched out into Thailand in recent years. 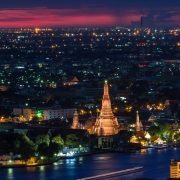 MHM’s Bangkok office has five attorneys. Seeing demand growing in such neighboring countries as Myanmar, the firm has decided to step up its expansion. Thailand is the biggest destination in Southeast Asia for Japanese corporations in terms of the number of companies and the amount of direct investment, shows data from the Japan External Trade Organization. More Japanese companies are busy organizing top regional offices, and there are reportedly several cases of decisions being made in Thailand on such important matters as acquisitions and fundraising. Since 2000, Japanese law firms have been merging domestically into practices stretching over 100 lawyers or more. Nishimura & Asahi, the biggest Japanese megafirm, employs a total of 500-plus attorneys at home and abroad. Anderson Mori & Tomotsune comes in next, with more than 400. MHM, Nagashima Ohno & Tsunematsu and TMI Associates have about 370 lawyers each. MHM would take second place once the Thai acquisition is complete. The growing scale of Japanese law firms has aided domestic companies in activities abroad. But international acquisitions and the like have often been handled by such non-Japanese behemoths as U.S.-based Baker & McKenzie, which employs thousands of attorneys worldwide.